Ever read a comic book in which the story went in a direction you didn’t like, thinking “if only I had the power to rewrite the outcome”? If so, then you’ll probably want to keep an eye on FRAMED Collection, an upcoming desktop port, merging popular panel puzzlers FRAMED and FRAMED 2. Because in those, that very power is yours to command! Rearrange panels! Change the story! Make magic happen (maybe)! Hard to believe it’s been four years since FRAMED first graced mobile platforms. Four long years. It did see a sequel earlier this year though with FRAMED 2, but again, only on mobile. As someone who much prefers playing games on desktop – be it Windows, Linux or even OS X, this made me a tad sad as both games looked absolutely amazing. 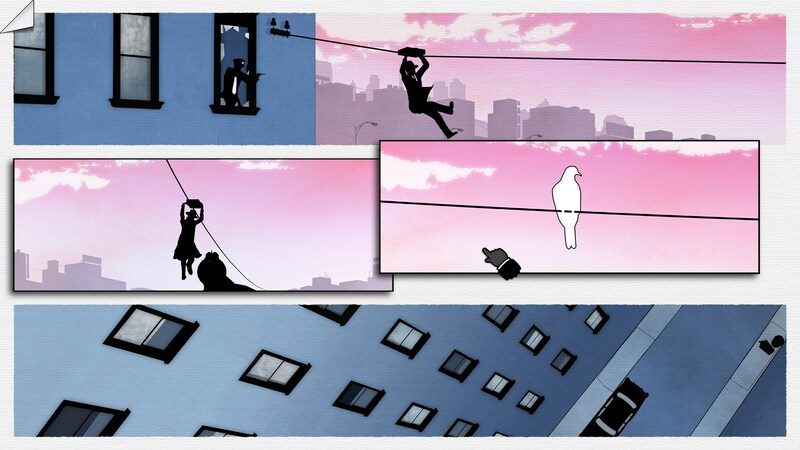 The FRAMED Collection is a double-issue dosage of the groundbreaking noir-puzzle games that uniquely play like a comic book, FRAMED and FRAMED 2. That said, fast-forward to a couple of days ago, and you’ll find that mobile exclusivity for the FRAMED series will finally be coming to an end, desktop release slated for ‘Early 2018’ (according to its Steam page). Adding to the excitement of finally being able to experience the series on non-touch devices is the claim from Loveshack – its creator – that the two titles contained within the FRAMED Collection “have been completely overhauled and redesigned for Steam”. Very groovy! So, is it 2018 yet? FRAMED Collection will be available from Steam, come 2018.